All Broadmoore furniture products deliver a strong, high level of quality. Finely crafted with hardwood solids and hand selected veneers, our products offer upscale style and function. In our state–of–the-art factory, each item is carefully constructed with attention to individual detail. You can feel confident that you are receiving one of the best products the market has to offer in a style that fits your life. Quality craftsmanship with attention to detail. Features hardwood solids and hand-selected veneers in a deep merlot finish. 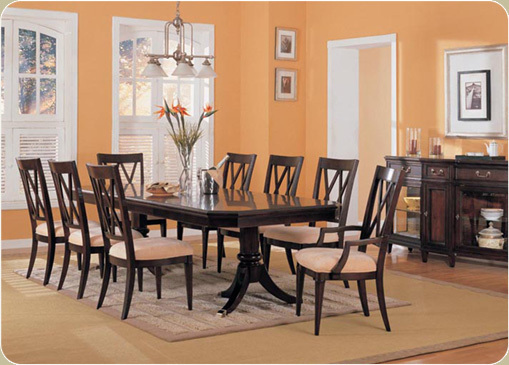 An attractive neo-classical design exuding a luxurious ambiance with a warm antique mahogany finish. If you have any questions regarding this product please call 1.800.357.0701 and ask for Customer Service Department related to Costco.